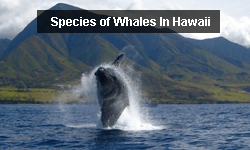 One of the great things about water sports is that they’re constantly evolving. 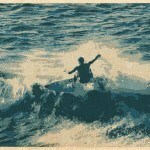 Whether it be new technology, new techniques, or finding new places to enjoy the sport, water sports have a way of re-inventing themselves so that the enjoyment is always fresh. 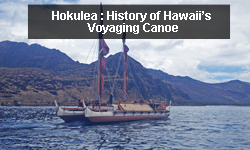 When you look at the history of stand up paddle boarding (SUP), it’s widely believed that this hybrid paddle sport was invented here on Maui. 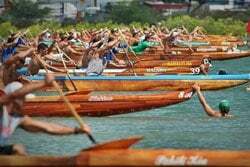 With the flotilla of stand up paddlers seen paddling the shoreline from Kanaha to Kihei to Lahaina, you get the feeling that you’re standing at the epicenter of where this sport was born. 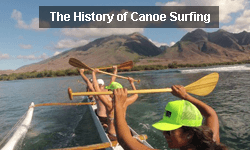 The history of stand up paddling (SUP), however, runs deeper than a couple of Maui surfers mixing canoe paddles with longboards. 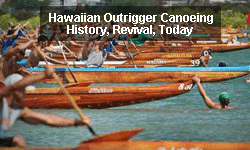 It’s true that when two professional Hawaii watermen—Dave Kalama and Laird Hamilton—famously used paddles to propel their longboards during an Oxbow photo shoot on Maui, it was the moment that many claim was the birth of modern stand up paddling. Rather than this being the birth, however, this moment in the early 2000’s was simply a revival of an already existing practice, and the history of stand up paddling dates back thousands of years with roots all over the globe. There are many people who claim that the world’s first surfers weren’t, in fact, Polynesian but were actually ancient Peruvian fishermen who lived over 2,000 years ago. Using boats called “Caballito de Totora” which were made from tightly-bound reeds, fisherman would paddle these rudimentary boats out into the Pacific surf. 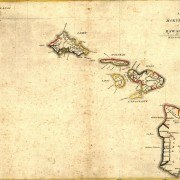 When returning to shore, fishermen would use the waves to help push them back towards land, and it’s believed that some of the more proficient boat handlers would occasionally stand up on their boats. Since the Polynesians don’t have written records which date back 2,000 years, the Peruvians make a pretty strong case for being the world’s first surfers or stand up paddlers. Then, of course, there are the gondoleers of Venice, who famously croon as they paddle the canals of Italy’s floating city. Even though the paddle is more of an elongated oar, you can’t deny that they are standing on a vessel and propelling themselves through the water. So, too, does Israel lay claim to stand up paddle boarding being a part of their ancient history, and while the exact details of the history are shaky, Israeli fisherman (and eventually lifeguards) would use a boat known only as a “hasake” for paddling out through the surf. Standing on top of the flat vessel and propelling themselves with a paddle, it’s a Mediterranean ancestor of modern stand up paddling with a bit of a canoe-like twist. 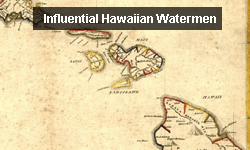 Here in Hawaii, the practice of standing on a surfboard with a handheld paddle dates back to the 1940s, when Waikiki beach boys would stand on their boards while teaching their students how to surf. In addition to being able to call the sets earlier, the beach boys were also able to carry the cameras of their wealthy, prone-paddling students. 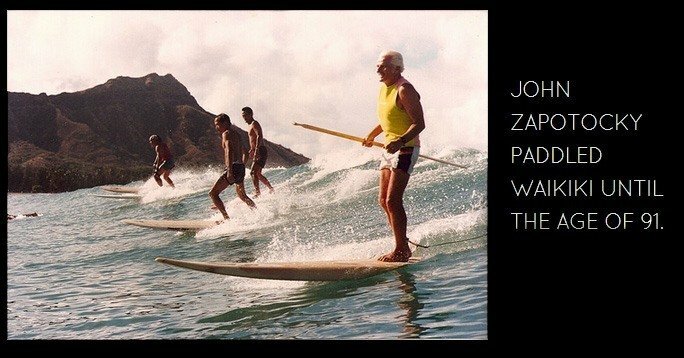 Though the practice of paddling with a handheld paddle died out a few years later, there was one surfer in Waikiki—John Zapotocky—who continued to surf while standing with a paddle through seven decades of surfing. 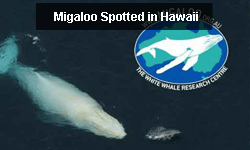 Other Oahu surfers like “Pops” Ah Choy would also be seen surfing with a paddle, although it wasn’t until Hamilton and Kalama did their photo shoot that the sport began to take off. 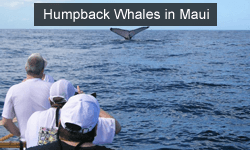 In 2004, with the sport of stand up paddling slowly beginning to gain steam again, a “Beach Boy Surfing” division was added to Makaha’s famous “Buffalo Big Board Contest.” When 49 people entered the surf comp, and the surf media got hold of some photos, the practice of surfing on a stand up paddleboard began to hit the mainstream. In the same year, a California surfer by the name of Rick Thomas introduced the sport to California, and in the ensuing decade the sport of stand up paddling has become the fastest-growing water sport in the world. 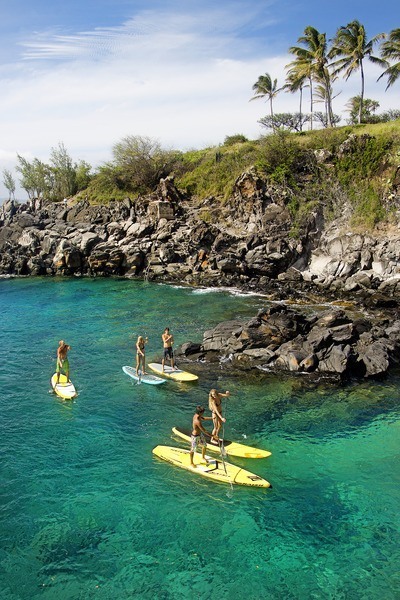 Today when visiting the Hawaiian Islands, seeing paddleboarders along island shorelines is an every day occurrence. Whether riding the waves at a friendly surf break or paddling in the early morning calm, there is a transcendental connection with the ocean beneath you when experiencing the ocean from above. New board designs have made it easier than ever for beginners to take up the sport, and taking a stand up paddle lesson in Maui is becoming a staple of island vacations. 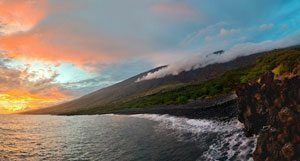 After all, more than just being a great core workout and a way to explore the shoreline, stand up paddling in Maui is a journey to the place where the sport was explosively re-born. 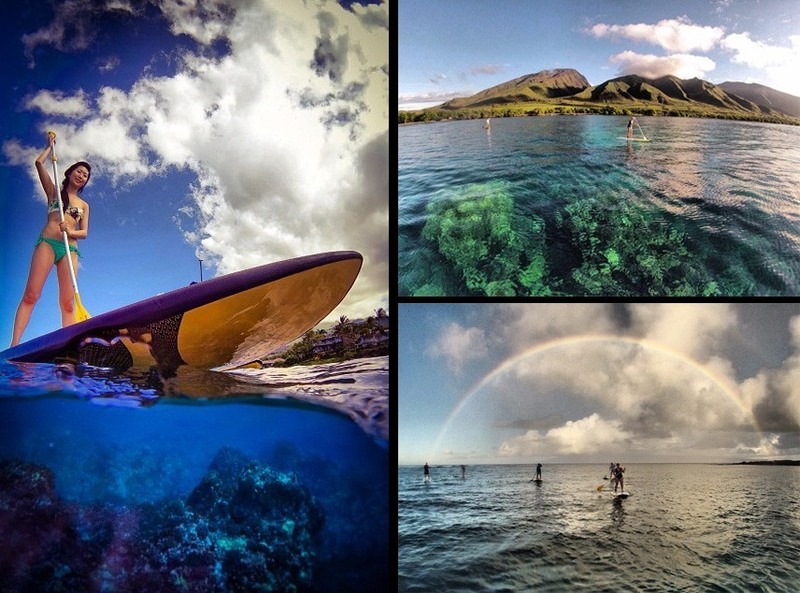 Have you ever experienced stand up paddling in Maui? If so, drop us a note in the comments below and tell us about your experience. 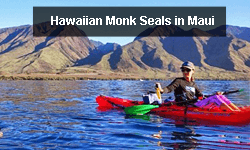 Click here for more information about our private stand up paddle board tours in Maui.